Classic Wide Plank Maple flooring is known for its tight solid grain, natural creamy white appearance and unfaltering beauty. A perfect choice to a residential or commercial application, its hardness and durability allow for a variety of uses. We traditionally see maple being used for bowling alley floors because of its beauty and durability, as well as in many antique homes in New England. The application of an oil-based finish will allow the inherent golden variations to shine through. Adding a stain will also bring depth and tone to a normally achromatic color palette. Hard Maple is generally found in the Northeastern part of the United States and is the densest species of maple. It is also known as Rock Maple or Sugar Maple. Hard Maple has a high susceptibility to insect infestation and has been known to cause some allergies. 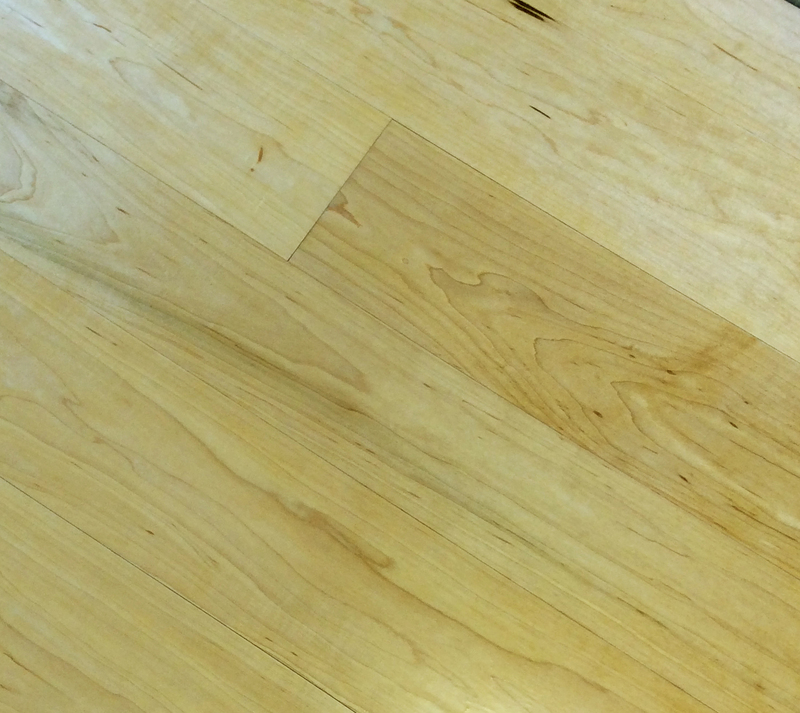 Additionally, hard maple will grow twice as slow as a soft maple, making it a denser and more durable flooring choice.